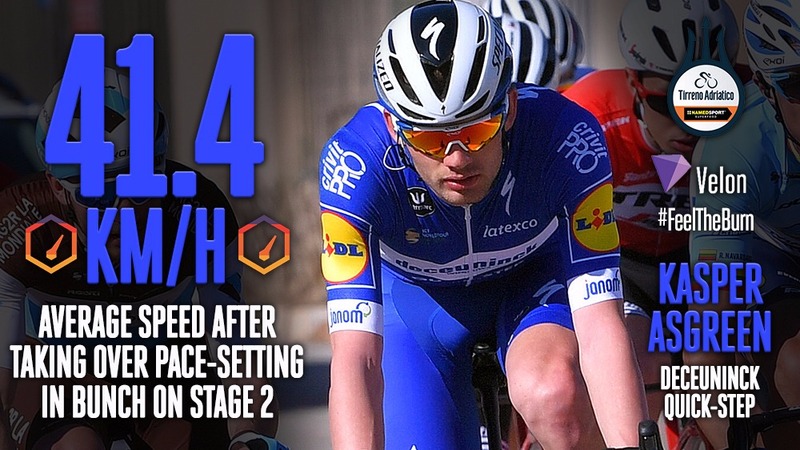 Julian Alaphilippe (Deuceuninck - Quick Step) followed up his Strade Bianche victory with a brilliant stage win at Tirreno-Adriatico on Thursday. 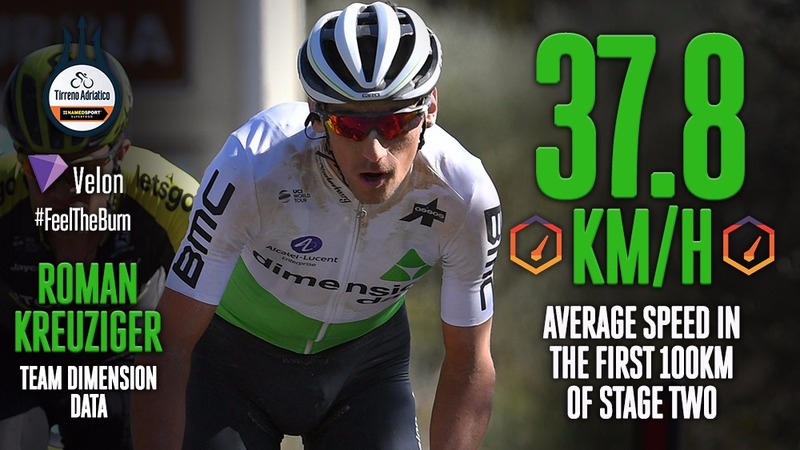 Alaphilippe and Greg Van Avermaet (CCC Team) went head-to-head on an uphill finish in the last 500 metres of a draining 195km stage - and the Frenchman jumped away to continue the incredible early-season form of the Belgian team. See key data from throughout the stage - including a fierce counterattack by Tom Dumoulin (Team Sunweb) in the closing stages.